The Stability Shaft from Breakthrough Golf Technology uses a scientifically advanced multi-material design to create a unique look and a more solid feel than offered by traditional steel putter shafts. Using high-speed cameras, robots, SAM Putt Lab, Quintic Ball Roll software and Trackman4, the company was said to re-invent the putter shaft from the ground up. 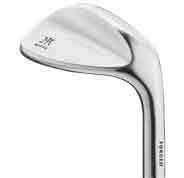 The Tour Wedge is the first Miura design to utilize CNC milling for club faces and grooves. This technology, combined with Miura’s classic forged steel construction, create both soft feel and maximum spin. The Tour Wedge is designed specifically for mid- to low-handicap players. 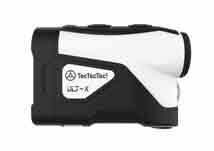 Promoted as Amazon’s No.1 selling golf rangefinder brand, TecTecTec, has launched its most advanced model to-date, the ULT-X. Among the new features are Vibrating FlagSeeker technology (letting golfers know when they’ve locked on to the target) and a toggle that quickly disengages the slope function used to calculate elevation-adjusted distances to the target, allowing for tournament-approved play. It accurately measures distances up to 600 yards – precise within one yard. The premium, multilayered optical lens combined with diopter adjustment and 6x magnification provide an ultra-clear and accurate view. With a water-resistant and incredibly lightweight (.41 lbs) durable body, it features three scanning modes for every situation to help players measure distances to the pin, hazards, etc. – Pinseeker Mode, First Target Priority, and Continuous Scan Mode. All TecTecTec rangefinders are backed by a two-year warranty, 24/7 access to customer service and a full refund on products returned within 30 days of purchase. GolfBalls.com allows customers to buy their favorite model of golf ball from all the top brands and customize them at no charge. Customers can order as late as December 22 and still have their gifts arrive by Christmas. Not just golf balls, choose from a selection of bags, apparel, tees and more – each available with the industry’s largest selection of customization options, including: personal photos, custom logos, monogrammed initials, personalized text, embroidery, numbers, novelty images and the best tool for lining up putts, AlignXL™. GolfBalls.com also offers a variety of pre-packaged gift boxes, including a bottle opener, poker chip set and divot tool. 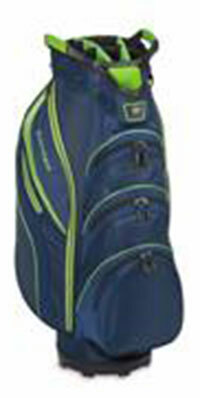 The Rocket Tour Original Skinny Stick ™ hybrid head cover will make a golf bag stand out. Used by many NCAA golf teams, the head covers come in a variety of stripes, argyles and patriotic flags in an assembly of sizes. Whichever flag you are flying, Rocket Tour has your bag covered. 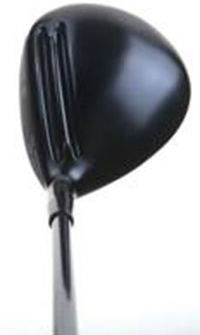 Vertical Groove Golf, manufacturer of what is touted as the only vertically grooved driver in the marketplace, finished the company’s first year of existence with two victories on the PGA Champions Tour and was also #1 (John Daly) in driving distance and #2 (Rocco Mediate) in driving accuracy. Vertical Groove Golf LLC is headquartered in Boston and has manufacturing facilities in Jupiter, FL. 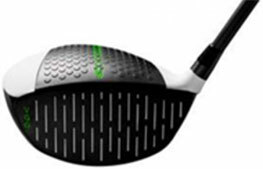 The 450cc Vertical Grove Driver is available in both right and left-handed models and is offered in various degree lofts. The pride of St. Charles, IL, Tour Edge has officially released three new lofts for the company’s Exotics CBX hybrid line. 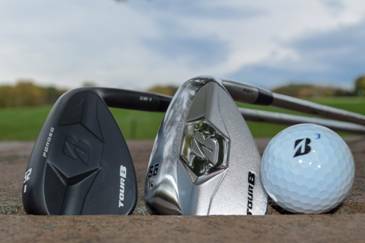 The 17-degree, 19-degree and 22-degree additions give the line six hybrids in all and will be available at authorized retailers on December 15th. The unprecedented range provides a loft for every possible distance scenario on the course. Touted as the first ever titanium-faced, stainless steel body and carbon fiber sole hybrid design in the marketplace, the Exotics CBX line is used extensively by players on the PGA Champions Tour. One of the nation’s leading introductory and recreational golf programs has expanded its line of custom-fit golf clubs for boys and girls. TGA Premier Golf worked with golf industry manufacturing veteran Ross Kvinge of Plus One Sports to design equipment specific to the needs of kids learning the game. The equipment line includes large driver heads with lightweight hot forging for ease of making contact. The junior irons feature distributed weight from the hosel out along the top-line of the club to create a well-positioned sweet spot in the center of the clubface. 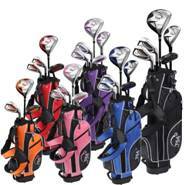 TGA Premier Golf boxed sets are offered in seven color-coded sizes based on height with right- and left-handed options for both boys and girls. Sets range in price from $89.99 - $149.99. A percentage of each purchase is donated to the TGA Sports Foundation. 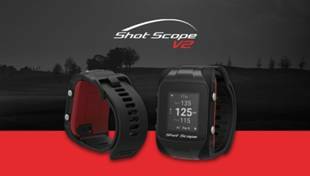 Shot Scope V2 combines GPS distance capabilities with automatic performance tracking. Available for under $225, the wristwatch-like device provides three different modes to display information on an LED screen. Distances to front, middle, and back of the green are provided from the golfer’s real-time position. Performance tracking is activated in both the Pro and GPS+Track modes. The device collects over 100 tour-evel statistics broken down into five areas: clubs, tee shots, approaches, short game, and putting. No manual input or phone use is required. TaylorMade’s TP Silver line of putters is now available in bold red. The TP Red collection is precision-milled for consistency in production and feel. A “Pure Roll” insert was designed to get putts rolling on-line faster. 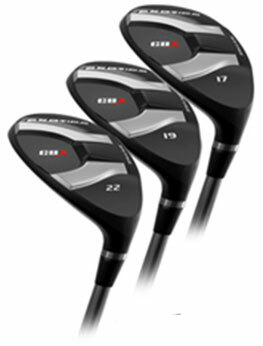 Each model is available in 34 or 35 inches with standard head weights of 355 grams. Chicago sports equipment manufacturer Wilson Staff has rolled out two different golf ball products, each unique in its category, The 29-compression Duo Soft golf ball is promoted as a longer and straighter ball. A two-piece construction with a sodium/zinc-ionomer cover, the ball serves up increased distance due to reduced spin rate. The core of the ball is 3 percent larger than last season’s Duo to increase ball speed. The Duo Soft is available in a matte finish-a second innovation rolled out by the company. The duller finish serves to make the ball brighter for easier tracking in the air and in the rough. The Duo Soft Matte Finish is available in red, green, yellow, and pink. The Women’s Duo Soft is also available in soft white matte. Miura has introduced the ICL-601 driving iron, an inner cavity long-iron that was launched as a 23-degree 4-iron, but will extend to include an 18-degree 2-iron and a 20-degree 3-iron in coming weeks. The ICL-601 includes an 8-gram weight which matches the weight of standard 4-irons. As with the other forged irons in Miura’s collection, the lie and loft angles are adjustable to enable golfers to fit the club seamlessly into their sets. The clubhead’s inner cavity allows for a wider sole and lower center of gravity. It turns out that Jason Day’s secret to being the best golfer on the planet is only partially due to great fitness and a fantastic swing. SwingOil is a great tasting 3-oz. 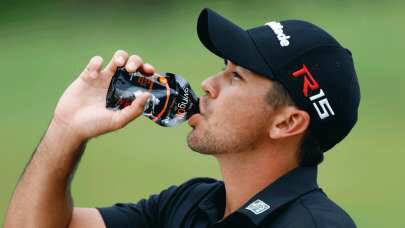 drink developed to promote flexibility and focus on the golf course. Key ingredients are glucosamine, turmeric, taurine, ginseng extract and rhodiola rosea extract. The product is available in three delicious flavors: Lemon-Lime, Orange and Strawberry-Banana. Henrik Stenson isn’t just one of the best golfers in the world. He’s also one of the coolest-looking guys on the pro circuit. But as it turns out, Stenson’s trademark sunglasses aren’t worn purely out of fashion sense. The 2016 British Open champion suffers from allergies and light sensitivity, thus making eyewear a mandatory piece of apparel. 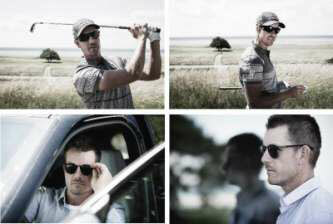 The new Henrik Stenson Eyewear collection features a special lens technology for both protection and performance. The lenses provide complete protection from harmful sun rays and effectively cut glare as well as other visual and optical interference. They also enhance contrast so that fairways and greens appear more distinctive. Series of Putters Geared Toward Golfers Seeking a CurePromoted as “the fastest growing putter on the Champions Tour,” Cure Putters are set to roll out the company’s newest products: the 2017 RX and Classic Series putters, featuring the CX3 mallet putter. 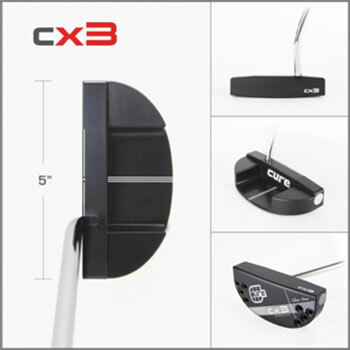 The CX3 mallet offers a traditional mallet shape with 48g of weight adjustability via removable 6g weight screws. The head is 100% precision milled in the USA using aircraft-grade aluminum. 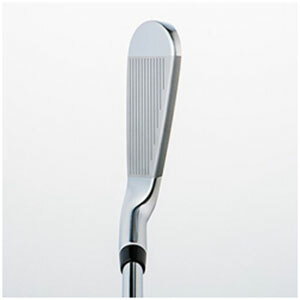 The putter is available in both center shafted and heel shafted versions. You don’t need to be Donald Trump to ride Air Force One. A new line of affordable, high-trajectory fairway woods has been launched by the company that has earned acclaim for its nitrogen-charged drivers. The Air Foil line features a 15-degree 3-wood and 19-degree 5-wood that allow shots to get airborne quickly and easily. A thin face on the woods flexs inward at impact, initiating the buildup of nitrogen pressure inside the club head. “Our brand is known for producing easy-to-hit equipment that increases ball speed for more distance,” says Air Force One president Ross Kvinge. The new woods are priced at $199.99 apiece with Tour Grade shaft options. Premier golf bag brand Datrek has launched a newly-designed collection that serves up an array of styles, colors, and features. The Lite Rider II is a sleek, lightweight design weighing just 5.5 lbs. and is available in eight color combinations. The Go Lite Hybrid combines the functionality of a cart bag with the portability of a stand bag, and is available in nine color combinations. 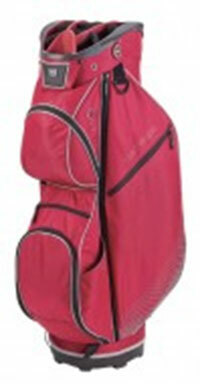 For women, the CB Lite Cart Bag weighs only 4.6 lbs. and comes in five fashion color combinations. Perfect for golfers with a dogged passion for their house pets, custom-made head covers are made to look just like your house pet. Immortalize Fido, Fifi, or Arnie by merely forwarding a few photos, the pet’s name, eye color, and any special instructions using the company’s website. A portion of each Cuddle Clone purchase goes to pet-related causes. Premier club designer and manufacturer Fourteen Golf launched its new TC-544FG forged irons designed to couple extreme distance with soft feel. The irons feature a deep undercut cavity and strong lofts to provide maximum forgiveness. “Our goal at Fourteen Golf is to make clubs that the discerning golfer as well as the weekend golfer both can use to play their best and to enjoy swinging whenever they’re on the golf course,” says Masashi Kamoda, chief operating officer. 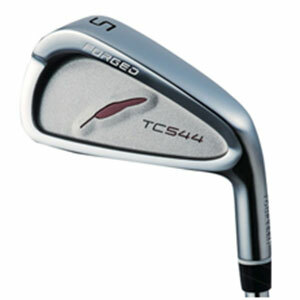 The MSRP for TC-544FG irons in sets of 5-iron through pitching wedge is $1,200. 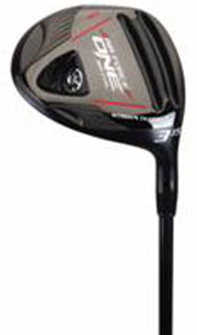 Irons are available at www.fourteengolf.com and at Fourteen Golf retail partners. Let’s face facts: for most of us, memories of our former status as spring chickens are blurry photographs kept in a cigar box somewhere in the attic. Rather than assume a return to our former selves, it might be time to concede to Father Time and locate products like IceWorks. 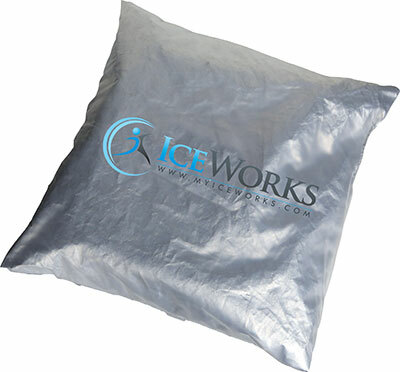 Guaranteed to last three years, IceWorks is a new product that offers ergo-compression, reusability, and stays cold for hours. Instead of finding comfort using zip-lock bags filled with ice, this handy product incorporates water with medical-grade stainless steel bearings to create compression without chemicals or spills. IceWorks stay soft and flexible for up to -30 degrees and have custom layers to prevent freezer burn.